In a small bowl, whisk the flour, baking powder, salt and lemon zest. In a larger bowl, whisk the eggs, sugar, ricotta and vanilla. Add the flour mixture and whisk until smooth. Place in the refrigerator and let rest for one hour. In a small saucepan, heat the cream until barely simmering. Place the chocolate chips, orange zest and cinnamon in a bowl. Pour the hot cream atop the chocolate chip mixture. Whisk until combined. Heat the oil in a large deep pan to 350 degrees. Place a heaping tablespoon of the fritter dough in the hot oil and fry to a golden brown, turning once. Remove from oil and drain on paper towels. 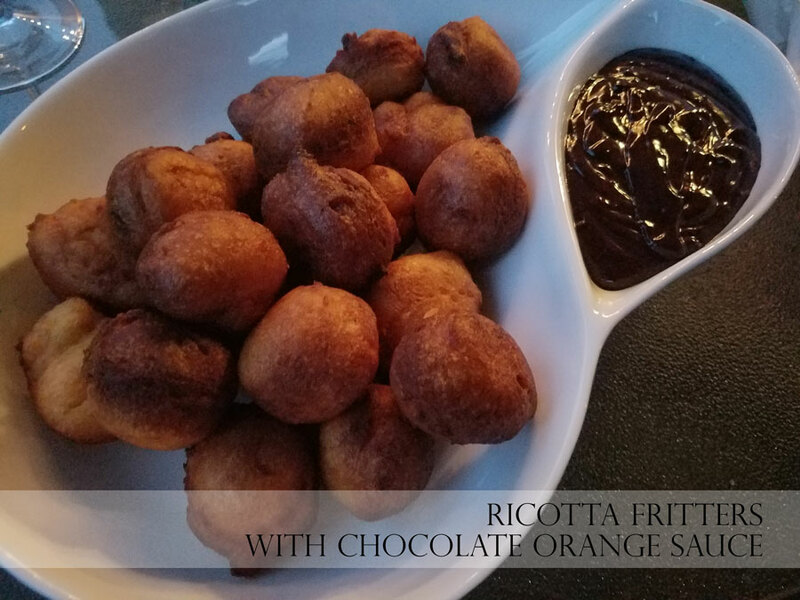 Serve with the chocolate orange sauce.